Extends from 3'2" to 5'9"
Constructed out of heavy gauge steel. 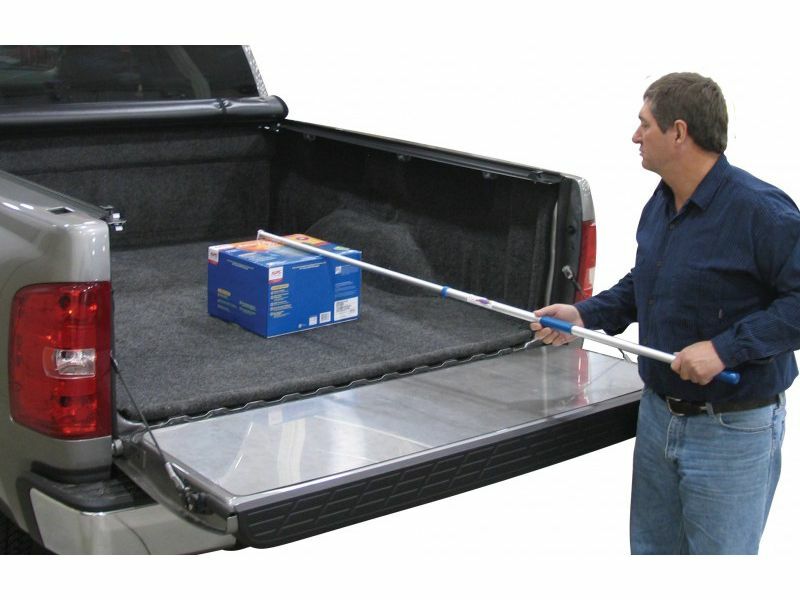 Works with most roll up and retractable tonneau covers. There is no question about it that Access built this thing to last! It is made out of very heavy gauge steel and is made to support over 500 lbs without any bending. So whether you're doing a house project or heading to the lake, the Adarac will make it less of a hassle and will provide guaranteed support. An additional positive about this bed rack is that it does not block your view at all. It sits above the truck and allows you full visibility out of your back window. The Access Adarac Rack System allows for very easy bed access whether you're trying to get something out of your truck bed or load/unload something off the rack. When trying to gain access to the truck bed, you can simply put down your tail gate and climb right in. This is because Access Rack system sits above the entire truck allowing you full access. To guarantee safety while loading and transporting things, Access created it to have plenty of tie down locations along the base and a few also at the top. When you purchase the Adarac Rack system we guarantee the lowest price guarantee for a year and a 1 yr warranty! Access is offering a 1 year limited warranty on the EZ Retriever. The Access EZ Retriever is offering an easy installation. For additional information please call us at 1-866-309-1907 or 701-253-5906.